Happy New Year, everyone, from the TWP and from the Nerds of Oz. 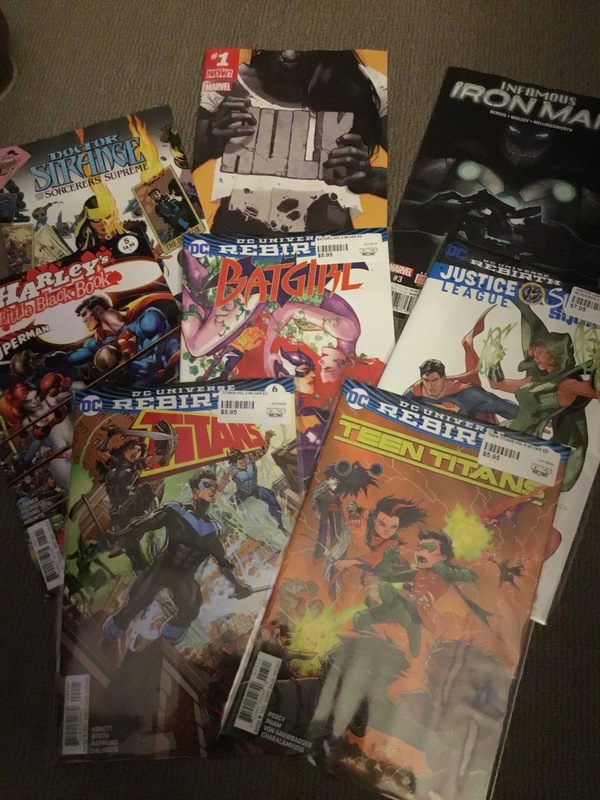 Sales were continuing this week, so a bit of crap was grabbed! Only managed to read a couple before this post, so only a few gets proper commentaries. Batgirl #6 from DC Comics. Harley’s Little Black Book #5 from DC Comics. Justice League VS Suicide Squad #2 from DC Comics. I had to grab this variant cover one as I love Terry Dodson’s work, maybe as it’s slightly derivative of Adam Hughes’. Teen Titans #3 from DC Comics. Titans #3 from DC Comics. READ! Doctor Strange and the Sorcerers Supreme #3 from Marvel Comics. Writer Robbie Thompson and artist Javier Rodriguez have sculpted an amazing story here where the Sorcerers Supreme through time are banded together to fight one evil. It’s a pretty cool tale focusing on a Native American character who is possessed by the Spirit of Vengeance from Ghost Rider. READ! Hulk #1 from Marvel Comics. Wow! Occasionally a comic comes along that changes your perspective about comics, and this is one of those. Jennifer Walters, aka She-Hulk, has discovered that her cousin Bruce, the Incredible Hulk has been killed by a friend, Hawkeye during the second superhero civil war, a war that left her in a coma. She’s better now, but having trouble adjusting to being a regular person again, and resisting ‘Hulking out’. This is a story about loss and trauma, and making an attempt to restart your life, even though you are no longer the same person. Incredible storytelling, and subtle art. Infamous Iron Man #3 from Marvel Comics. Grabbed an Australian DVD called ‘Red Billabong’ which looks bloody awful, but it’s Australian, so I thought I’d give it a go. Actually, I was wrong, it’s pretty good but has some ordinary CGI. On bluray I grabbed the Australian release of The Hallow, based on a trailer I saw on the All Through The House Bluray. 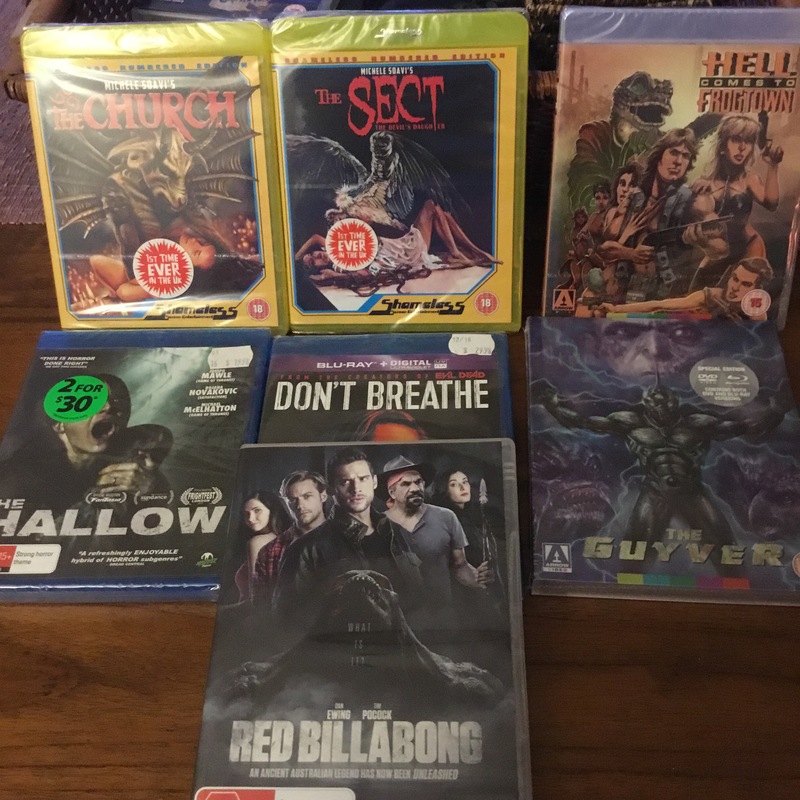 From Shameless Screen Entertainment I grabbed The Church and The Sect, and from Arrow Video I scored Hell Comes to Frogtown and The Guyver. Don’t Breathe was from last week, but cheekily made its way into this pic! 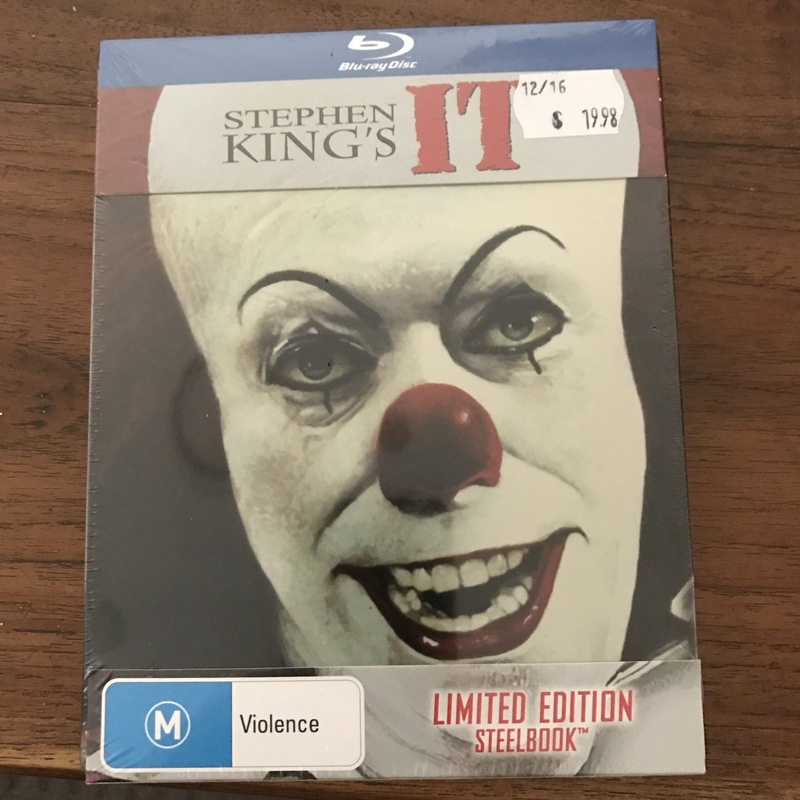 At the last minute, I also grabbed a steelbook of Stephen King’s IT! A ‘Strange’ week this week! See what I did there? 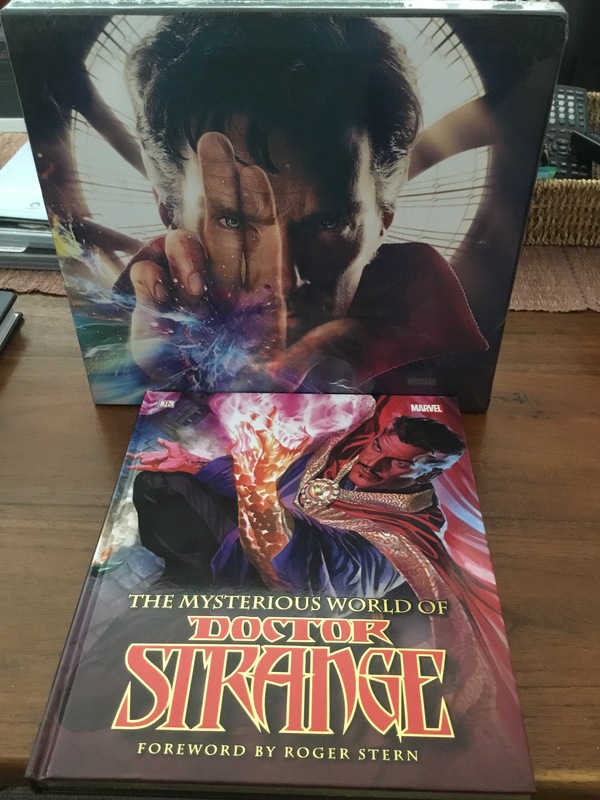 I grabbed the Art of the Doctor Strange movie book, and one of the D&K encyclopaedias of Dr Strange! 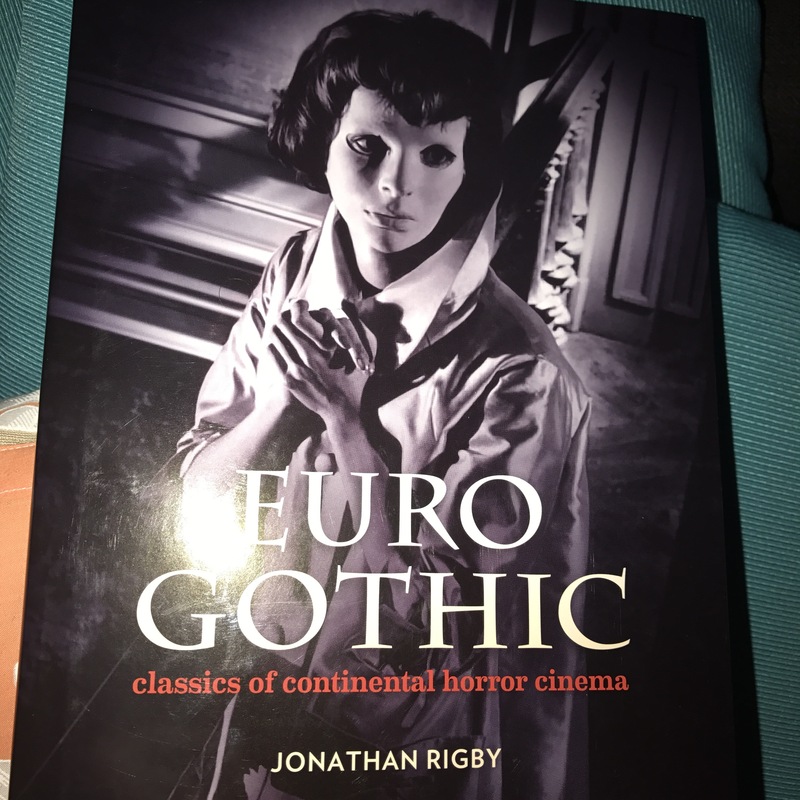 Also I grabbed an awesome book about my favourite types of films, Euro horror, called Euro Gothic by Johnathon Rigby. 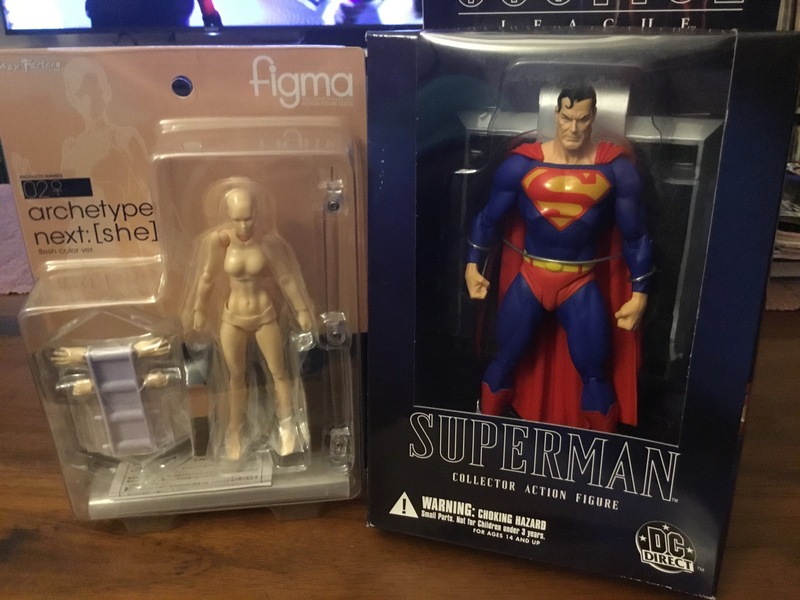 Many years ago a had a full set of the Justice action figures until my Superman and Brainiac figures suffered from a little water damage, and now I have at least been able to replace the Superman one! I also have a Justice Society Superman one which has suffered the same fate, and I spend my days searching. This other is a Figma Archetype Next: [she] which I intend on using as a model for drawing. I have been thinking of doing a comic again, and thought this would be a good idea to use as a model for it… and it’s cool! 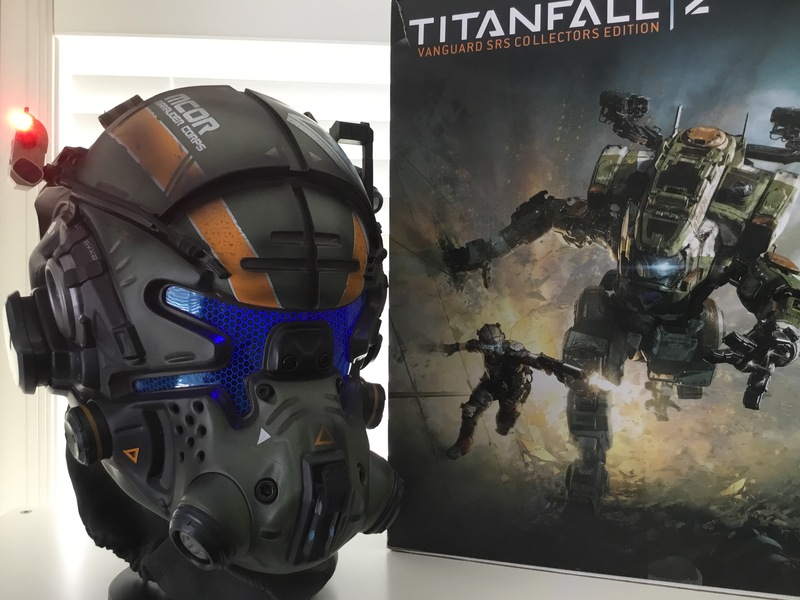 I grabbed Titanfall 2 when it first came out, but didn’t want to make the investment of $400 odd bucks to grab this helmet… thankfully, the Boxing Day sales continued and this, helmet only, not the game and other stuff, I managed to grab for $65. I’m as happy as I could be, this thing is awesome, and goes nicely with my Assassin’s Creed Hidden Knife and my Gears of War gun!